One of my assignments in recent weeks: Posters for all the Disney Classics. I will upload all over these weeks. This is so perfect! 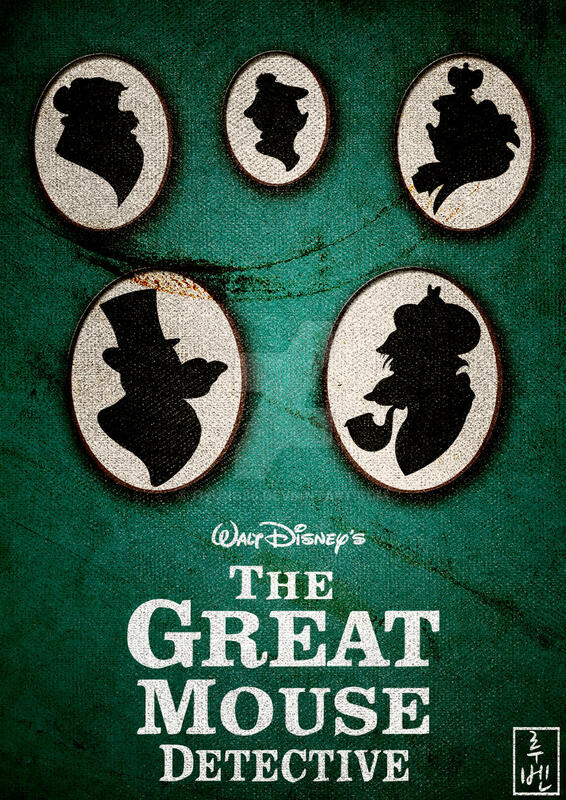 I love how the characters are all silhouettes--it fits very well with the era the movie takes place in. If I had to pick a favorite Disney movie, it'd be a tie between Robin Hood and The Great Mouse Detective. I LOVE this movie! I love the texture and the character silhouettes are a nice touch! Oh! Bodacious! Thanks for the quick reply, and I'll be sure to keep an eye out for the contest. I've been loving this whole series you're making, and seeing this one show up made my day. Oooh, I love this movie as a little kid! Nice job!